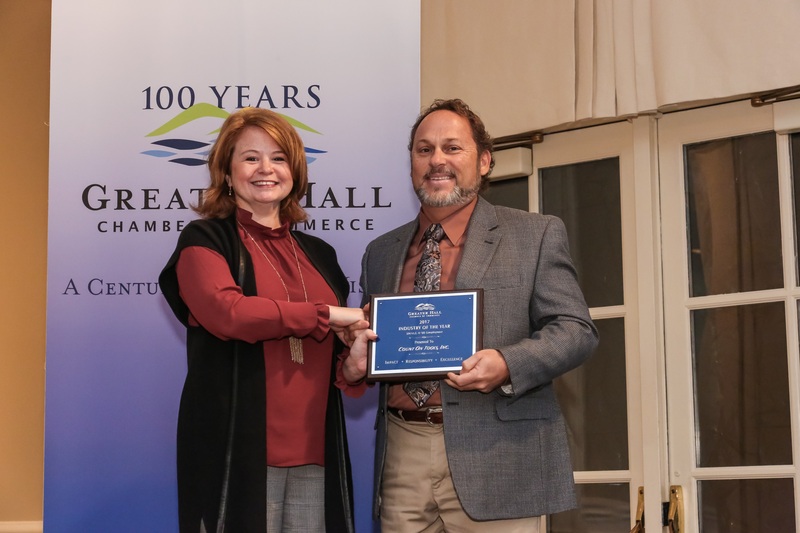 2017/11 - Blog - Count On Tools, Inc.
Count On Tools, Inc. (COT), a leading provider of precision components and SMT spare parts, is pleased to announce that it has been awarded the 2017 Industry of the Year Award from the Greater Hall Chamber of Commerce for the Small Employer Category. Greater Hall Chamber Vice Presidents, Tim Evans and Shelley Davis, presented the award to Curt Couch, COT’s President, during the 9th Annual Industry Appreciation Luncheon on Tuesday, Nov. 14, 2017 at the Chattahoochee Country Club in Gainesville, Ga. Sponsored by Lanier Technical College, the Greater Hall Chamber’s 2017 Industry of the Year Awards honor area existing industry leaders based on economic impact, workforce excellence and corporate responsibility. The Greater Hall Chamber continues to focus on the importance of existing industries in Gainesville-Hall County Georgia, and business remains strong.